At the end of the panhandle you will find the coolest thing that Oklahoma has to offer: Black Mesa State Park! The pinyon-juniper woodland is my favorite ecosystem. 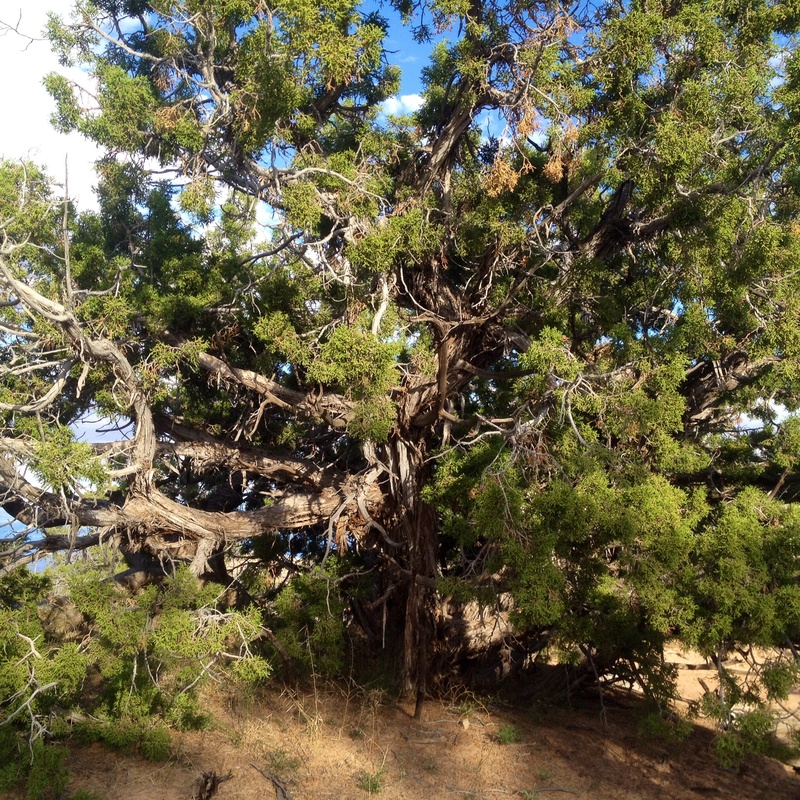 The Utah Juniper trees look like wicked witch’s fingers twisted at the joints, with shredded bark used by orcs as back scratches. And, the pinyon, oh how they smell so good when you burn them! It almost makes up for Rob’s smelly sand farts. 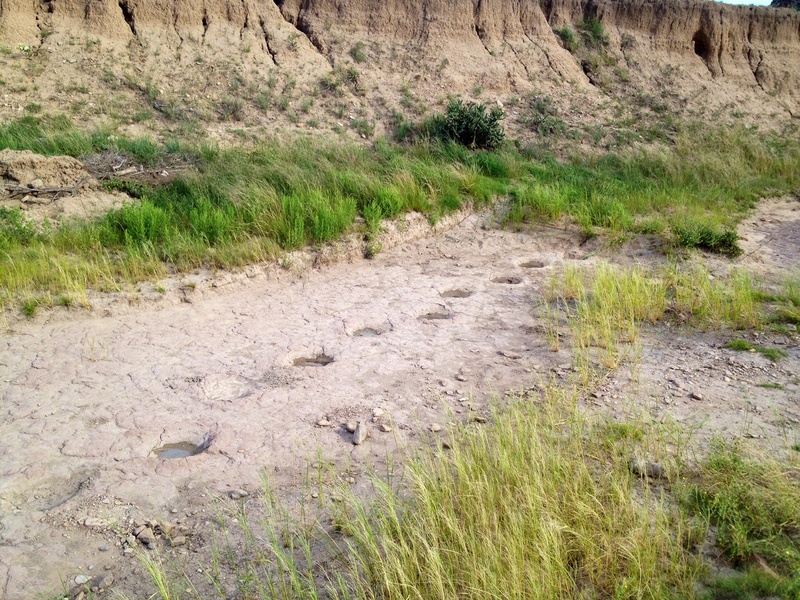 If you’re into history and/or dinosaurs then it’s definitely a worthwhile stop along the trail. There is a dried up valley tucked away with dinosaur tracks intact and the only way to find them is by asking the locals (who actually stole the signs for the tracks) and the Folsom museum has a ton of old relics and info about the old “No Man’s Land” and outlaws like Blackjack Ketchum. There’s a neat newspaper article with a picture of his head gone! We took a late day and hiked the Black Mesa Natural Preserve Trail. Mesas are basically flat mountains, but it’s more exciting hiking it because you’re constantly along a straight, steep, rocky fall down. But, when you’re at the top, well it’s easy to see why the Flat Earth Society still exists. 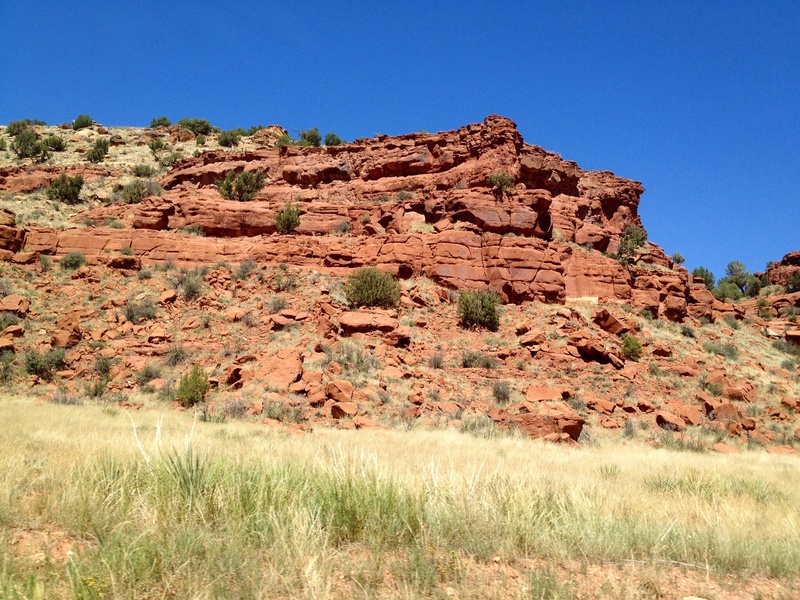 New Mexico is a short 70mi ride and is a continuation of the mesas and desert shrub. Its sweet and short, so find yourself some pinyon coffee and enjoy them buttes.